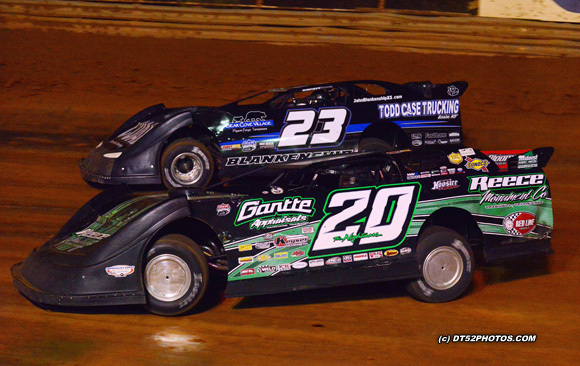 BULLS GAP, TN (August 22) - Chris Madden held off defending Scorcher winner, Billy Ogle Jr. to win the Lucas Oil Late Model Dirt Series event on Thursday Night at Volunteer Speedway. 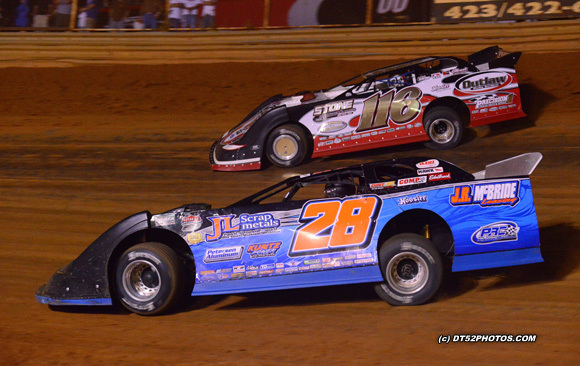 Madden led all 50 laps for the $10,000 victory. The win marked his second series win of the season. 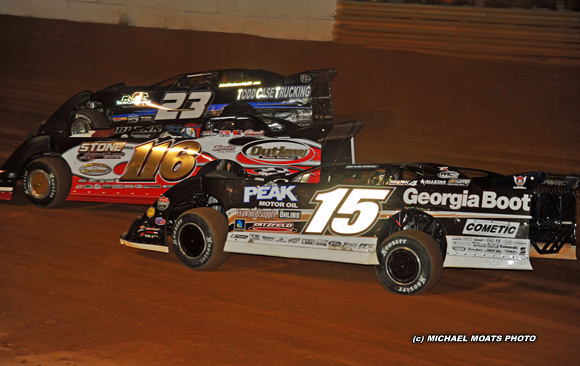 Ogle stayed within striking distance of Madden over the last half of the race, but Madden proved to be too strong. 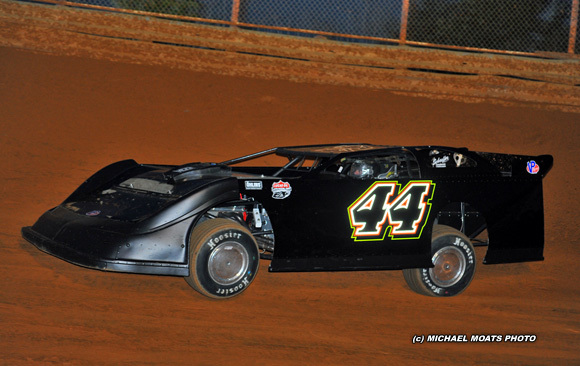 For the third consecutive LOLMDS event, Dale McDowell finished third. 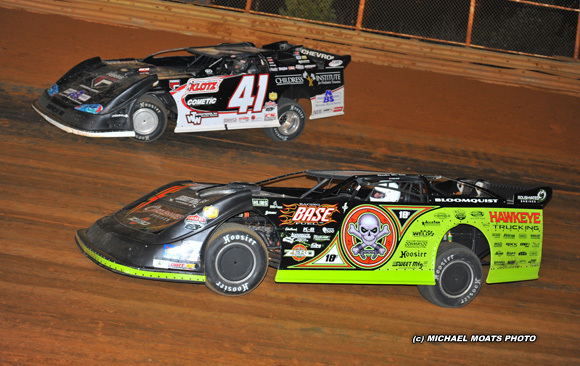 Scott Bloomquist came home fourth, followed by 5-time track champion, Vic Hill. "That was a demanding 50 laps! Joe (Loven) gave us a heck of a racetrack tonight; I thought it was in better shape tonight than it has been in a long time! 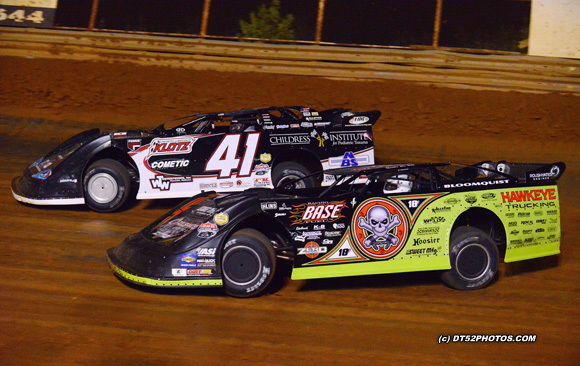 I slowed up for a little bit, and I couldn't figure out why I was so loose getting into the corners," said the driver of the Clements Racing Engines, Bloomquist Race Cars Chevrolet. 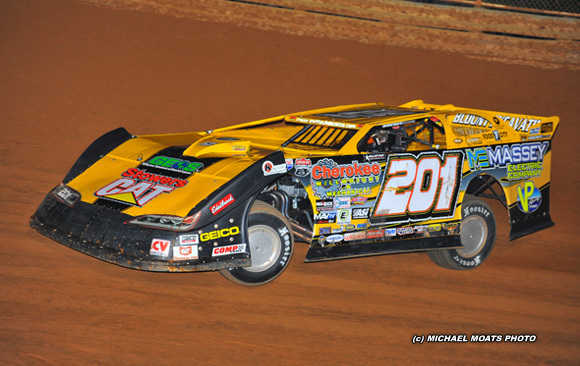 "I had a great race car tonight, and we just picked up where we left off at Batesville last week. We made a few adjustments and the car was awesome from the time we unloaded it! 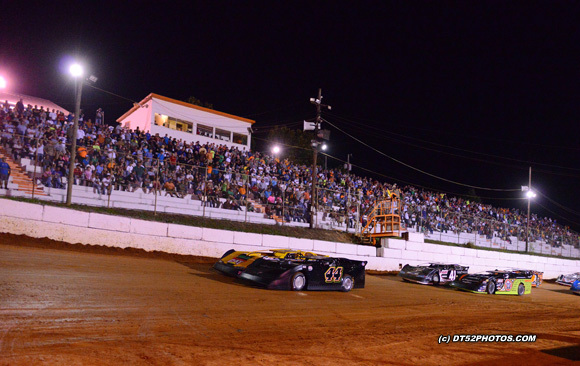 I have to thank Century Plastics, Hamricks of Gaffney, Cushman Paint and Body, Henderson Amusement, Hoosier, Ohlins, and everybody else who helps out," said the 38-year-old racer who recorded his fourth career LOLMDS win. 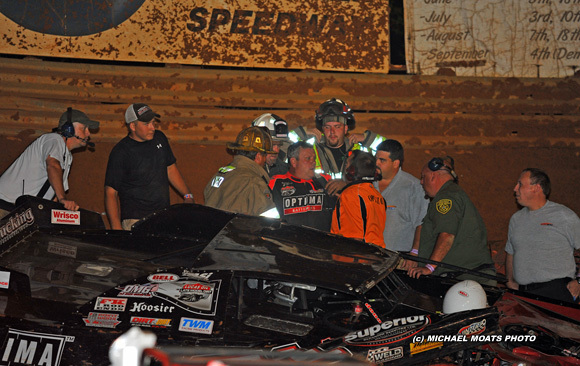 The most serious incident happened when point's leader Jimmy Owens slowed on the frontstretch with a flat tire on lap 12 and several drivers piled-up in turn two. 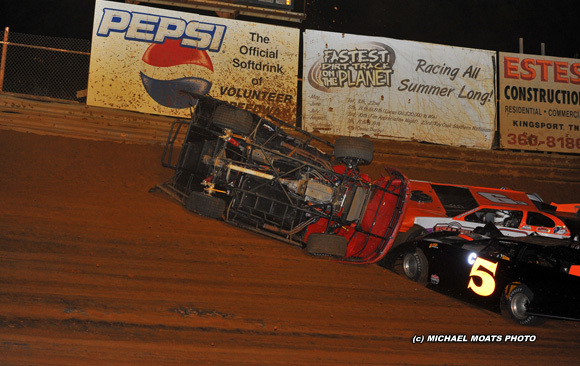 Don O'Neal tumbled down the track. O'Neal was checked out as a precautionary measure. 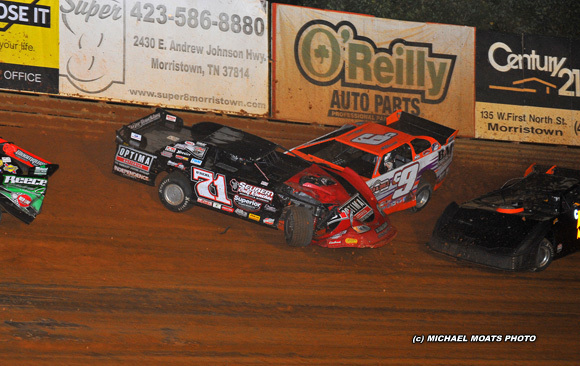 Ogle made the move for second when he past McDowell on lap 24 and then hounded Madden the rest of the distance. "I tried to cut the corners on him (Madden), but he was just too strong tonight. I thought maybe starting on the front row, we could win this race two years in a row, but it wasn't meant to be. 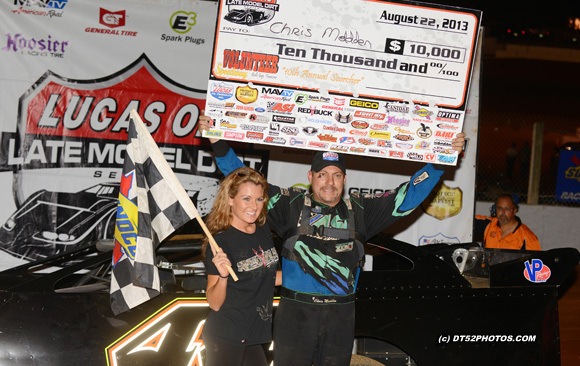 Congrats to him on the win!" 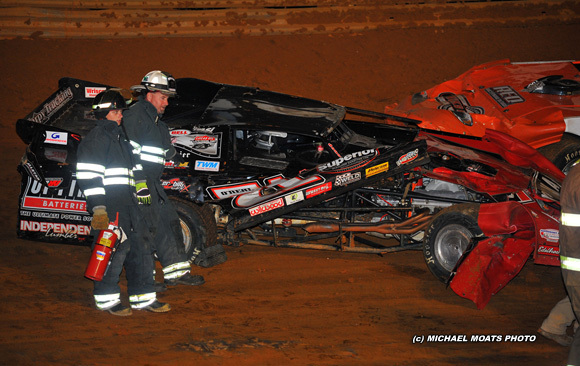 said the driver of the Blount Excavating, Rocket Chassis entry. 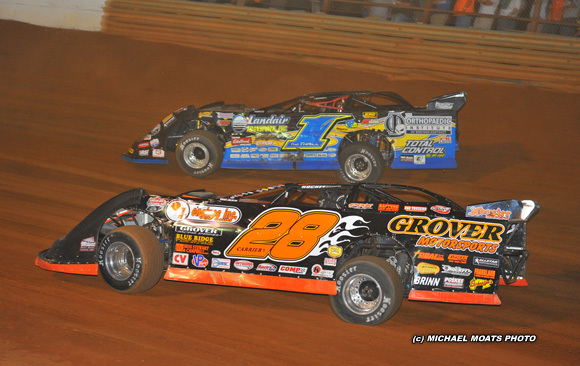 McDowell had to fight off Bloomquist over the last part of the race to finish third. 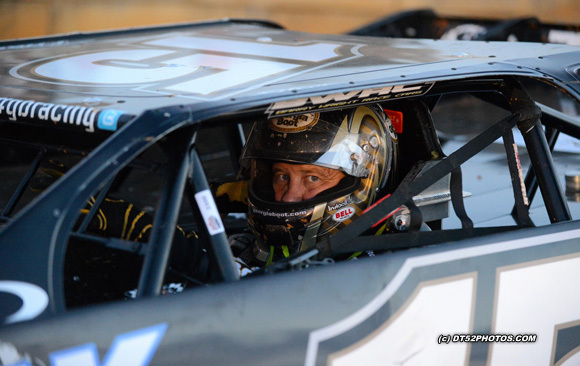 "I had a good race with Scott tonight and held him off. We are going to keep digging and get us a victory soon," said the driver of the Team Dillon Warrior Race Cars Chevrolet. 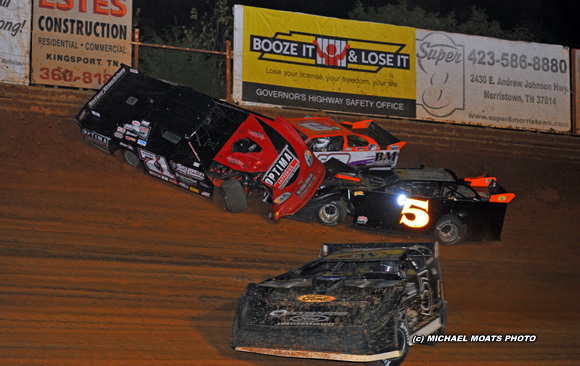 Completing the top ten were Eddie Carrier Jr., John Blankenship, Jimmy Owens, Steve Francis, and Dennis Erb Jr. In preliminary action, Chris Madden set the overall time (Group A) amongst the 33 entrants, with a lap of 12.438 seconds. 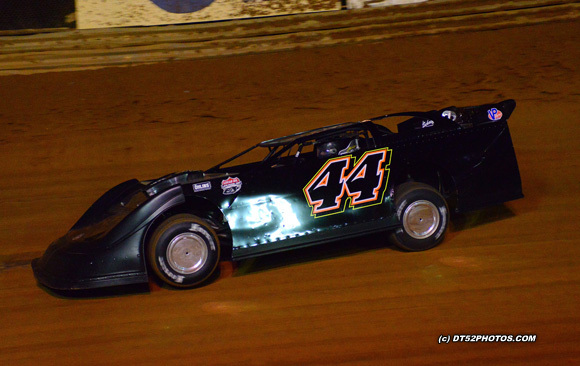 Billy Ogle Jr. set the fastest time in Group B with a time of 12.488 seconds. 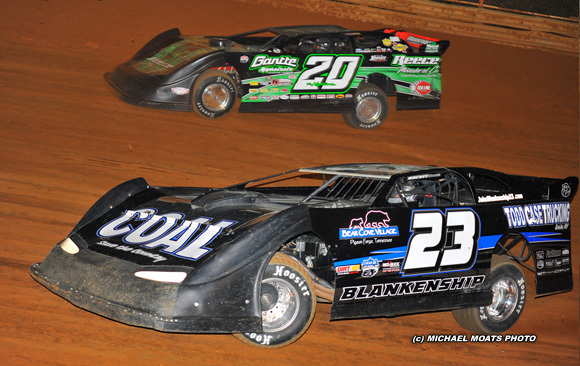 Chris Madden, Scott Bloomquist, Billy Ogle Jr., and Dale McDowell won their respective heat races. 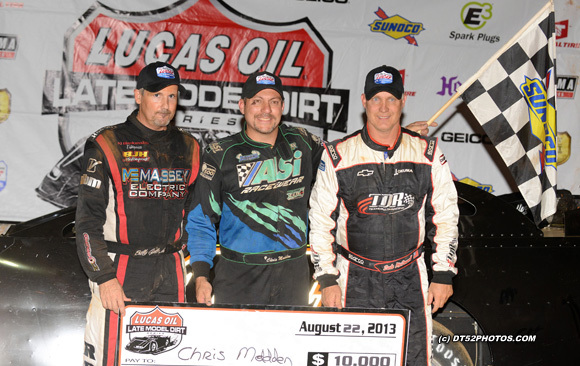 Steve Casebolt and Mark Douglas won their respective B-Mains. 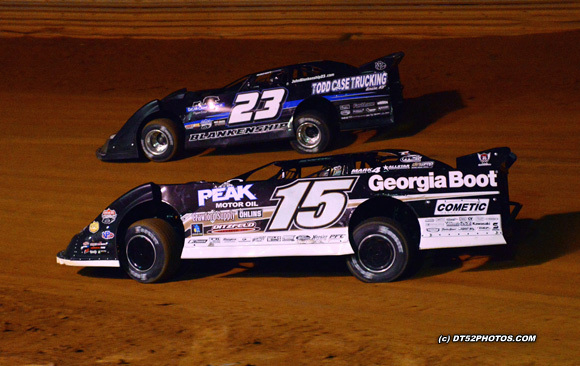 Lucas Oil Late Model Dirt Series Provisionals: Earl Pearson Jr., Billy Moyer Jr.
Heat Race #1 (10 Laps, Top 4 Transfer): Chris Madden, Jared Landers, John Blankenship, Don O'Neal, Jeff Wolfenbarger, Eric Jacobsen, Billy Moyer Jr., Kayne Hickman, Earl Pearson Jr. 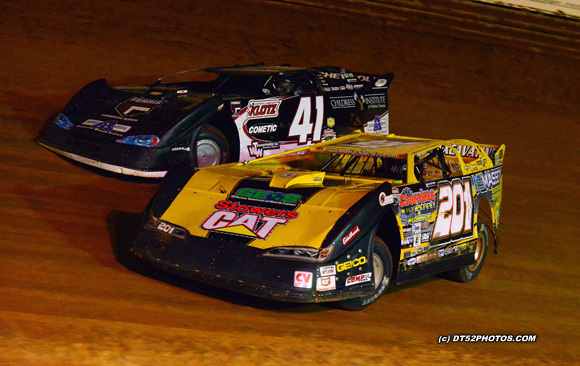 The Lucas Oil Late Model Dirt Series will return to action on Saturday, August 24th, with the "Whiskey City 50" from Lawrenceburg Speedway in Lawrenceburg, IN. 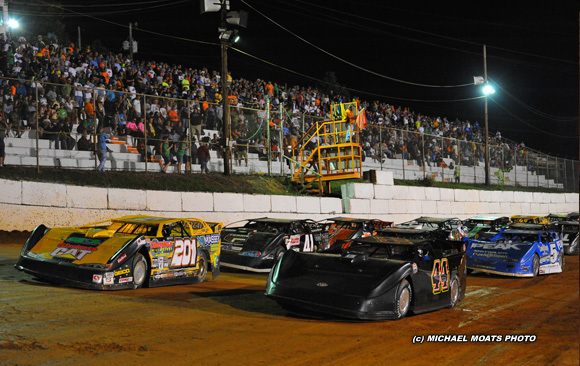 The event will feature RED BUCK Time Trials, Heat Races, B-Mains, and the 50-Lap main event. 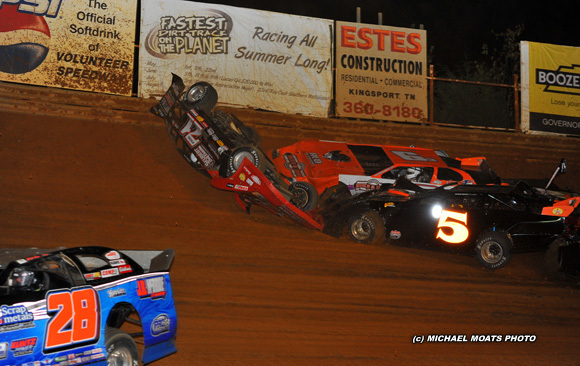 For more information, log on to www.lawrenceburgspeedway.com. Latemodelracer.com » Powered by YaBB 2.2.3!